My office is centrally located near downtown Santa Rosa, California -- providing integrative therapy for individuals, couples, families, and adolescents. Good therapy should be a life-changing experience, where positive results are achieved from the very first session. My life is defined by my search for spiritual truth and understanding. The purpose of my work with clients is the same as my purpose for my work on myself -- to serve and nurture the highest goodness is humanity and in myself. Helping to relieve people of their suffering and to find their joy, passion, love for life and peace of mind is what gives me the greatest satisfaction in my work. For me it is hardly work at all. I get back as much as I give, and I learn as much as I teach. I believe I have a gift as a therapist and coach - in my ability to listen with an open heart, without judgement; in my ability to trust my intuition and to empathize deeply with my client's suffering, without getting enmeshed in it; and in my skillful use of Energy Psychology techniques such as EFT/Meridian Tapping as a means of quickly getting to the deepest level of an issue and alleviating it. My clients often tell me they are astonished by the profound relief they feel after a "tapping" session, and many times, people find that they have finally let go of painful issues, and "old tapes" that had burdened them for years. Clients often come to me after many unsatisfactory attempts at seeing various therapists and healers, and they often leave feeling optimistic, grateful, and amazed at the ease of their positive transformation. My approaches include interpersonal-therapy (existential-humanistic, cognitive, and transpersonal influences), and Energy Psychology approaches to resolving core issues quickly. I also teaches Mindfulness, Mind-Body awareness, and meditation techniques when appropriate. Please take your time and explore my Santa Rosa Therapist website to learn self-help tips, and find out how you may benefit from therapy and alternative treatments. Or call (707)326-5566 to schedule an appointment. Calls are either answered in person, or returned promptly - most often the same day. I welcome your inquiries, and look forward to working with you! 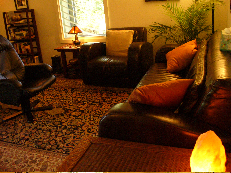 Thank you for your interest in my Santa Rosa psychotherapy practice! 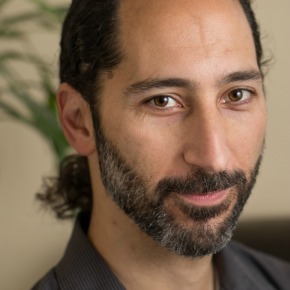 Ben Schwarcz, MA, is a California Licensed Marriage and Family Therapist, (license # MFC 35606).